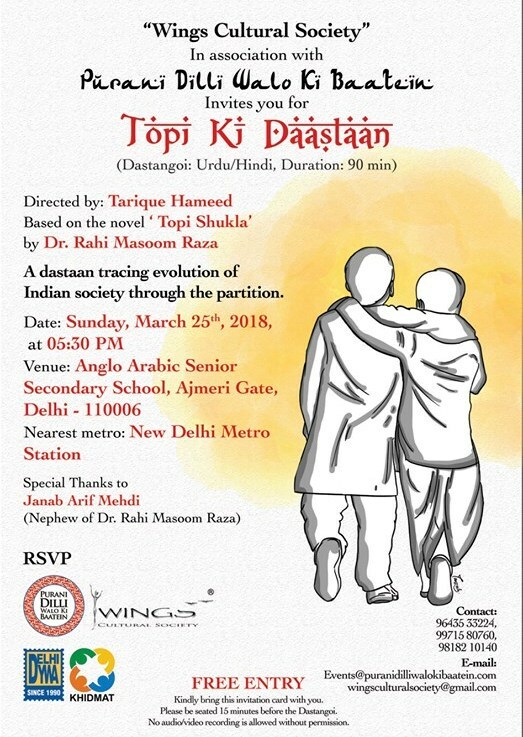 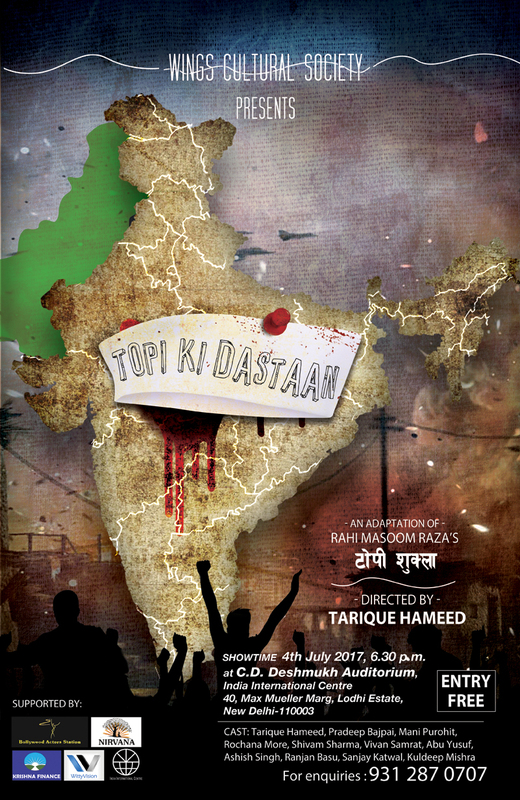 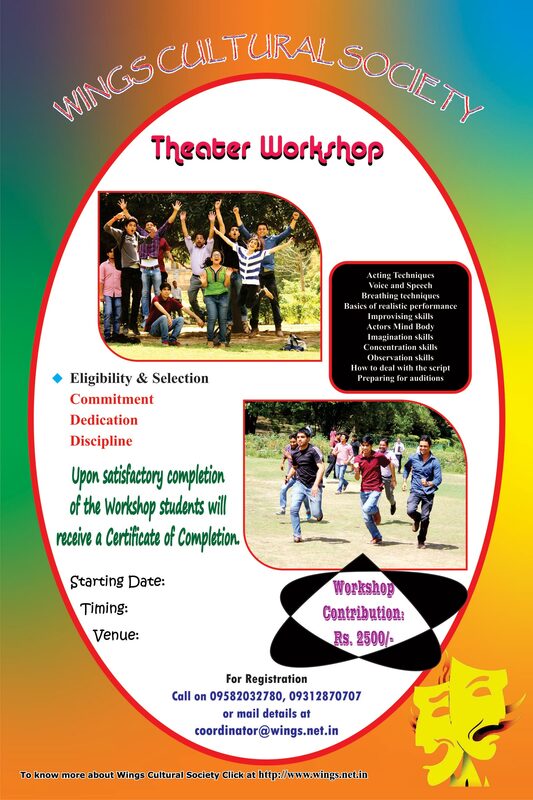 Topi Ki Daastan is based on a famous and popular Hindi novel Topi Shukla, written in the early sixties by Dr. Rahi Masoom Raza. 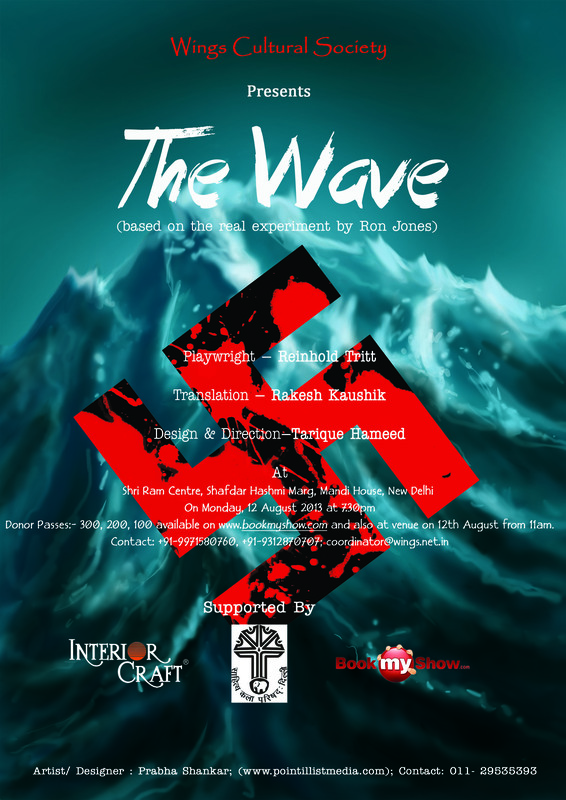 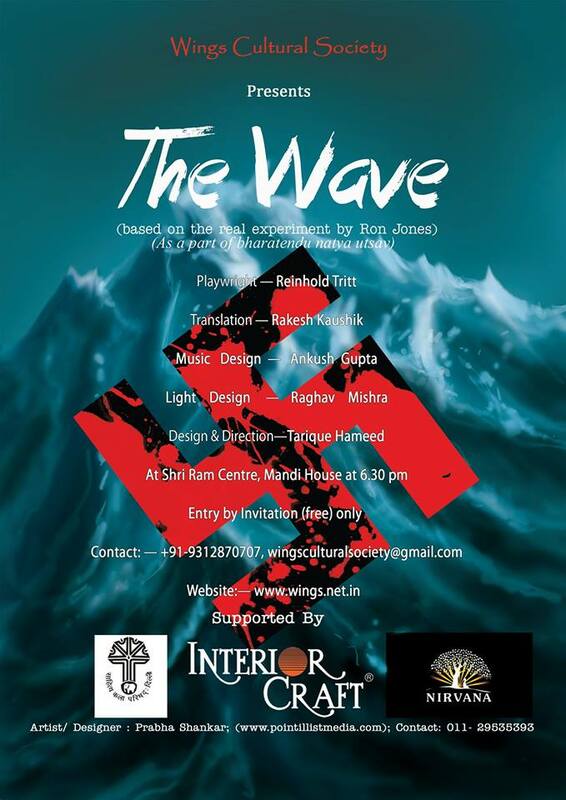 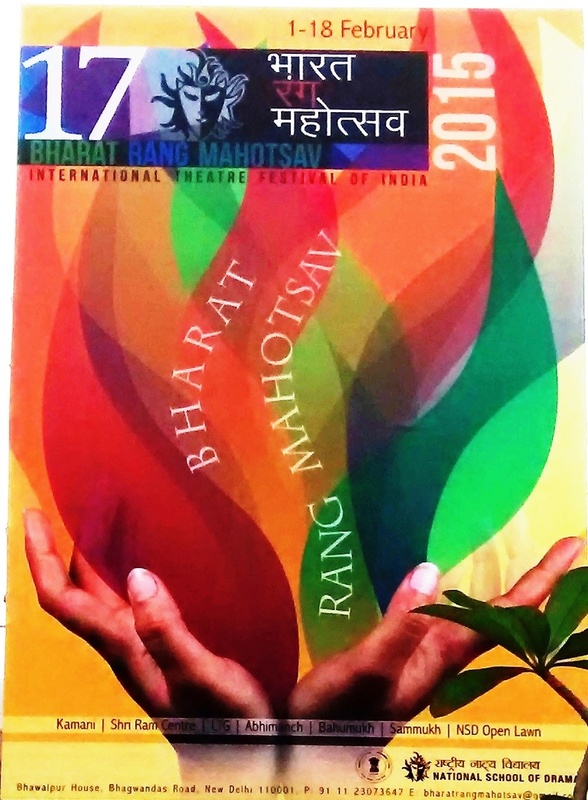 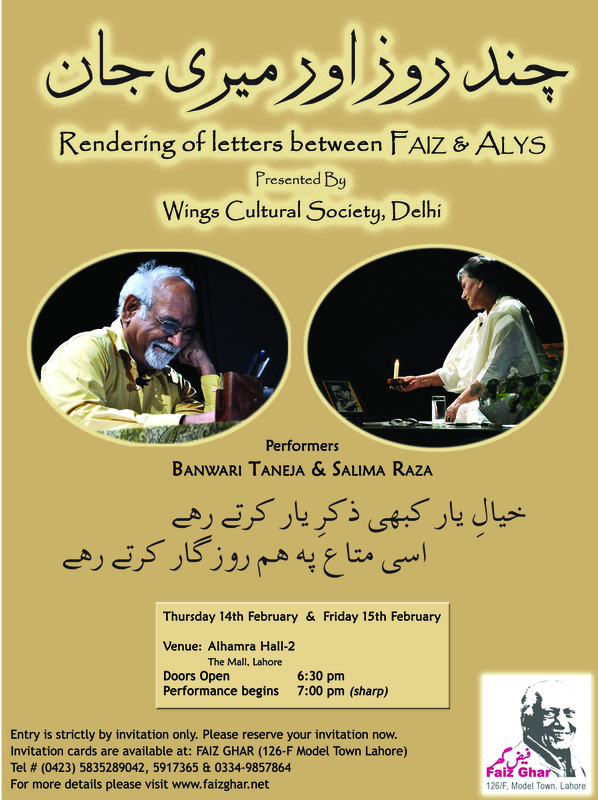 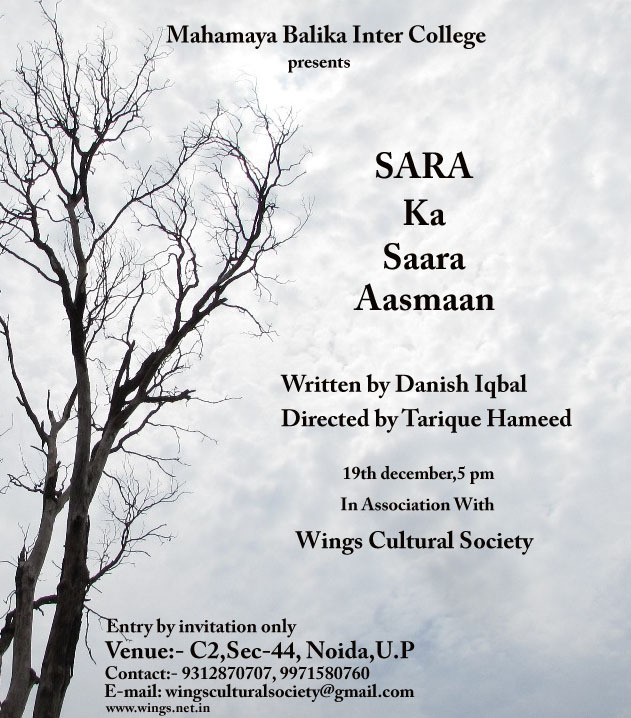 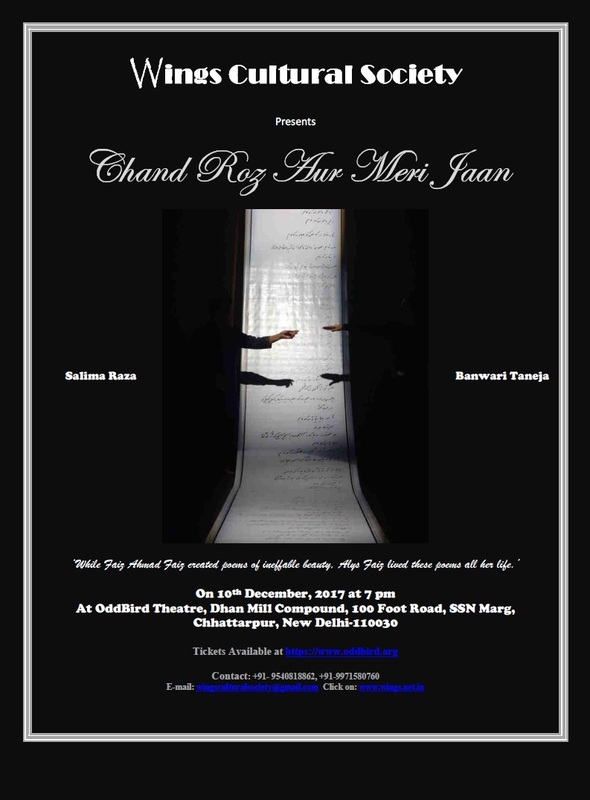 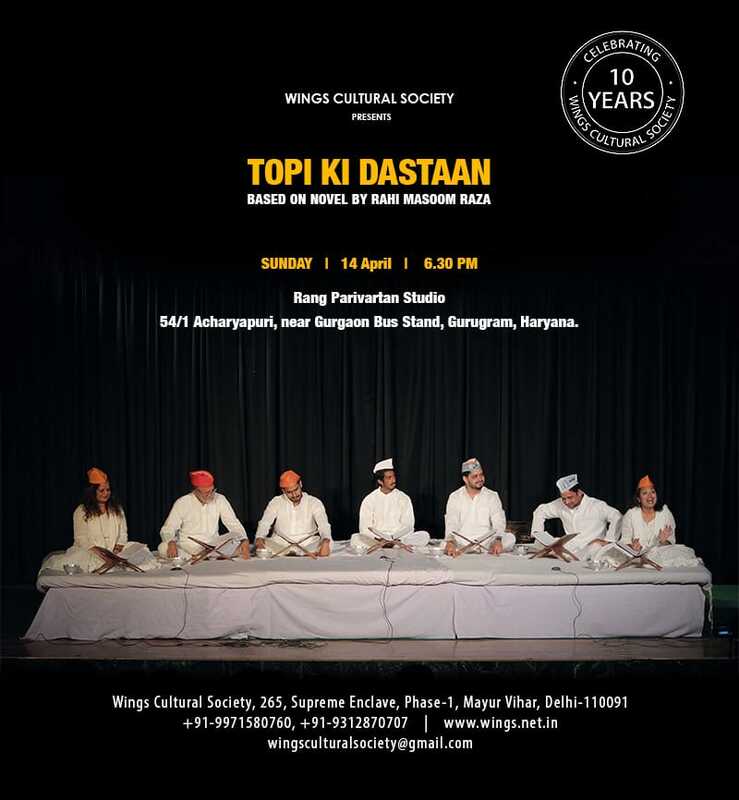 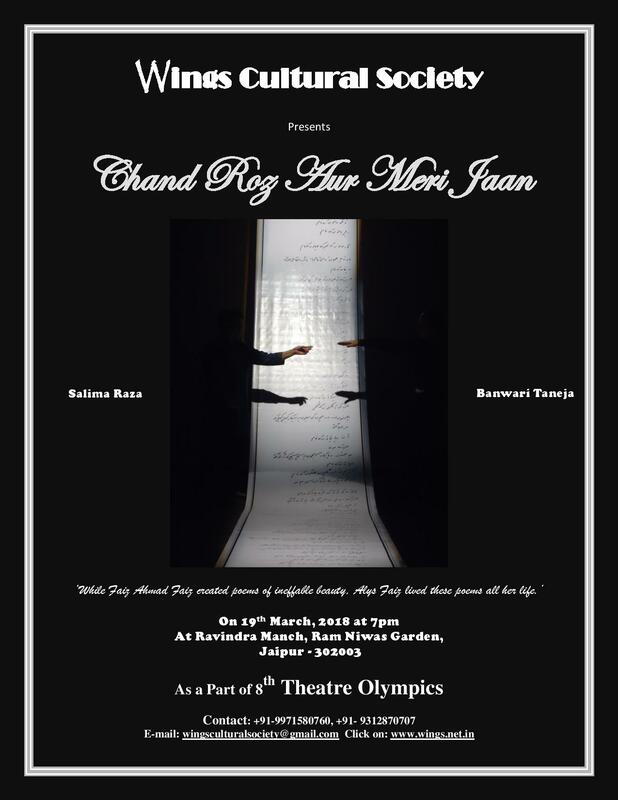 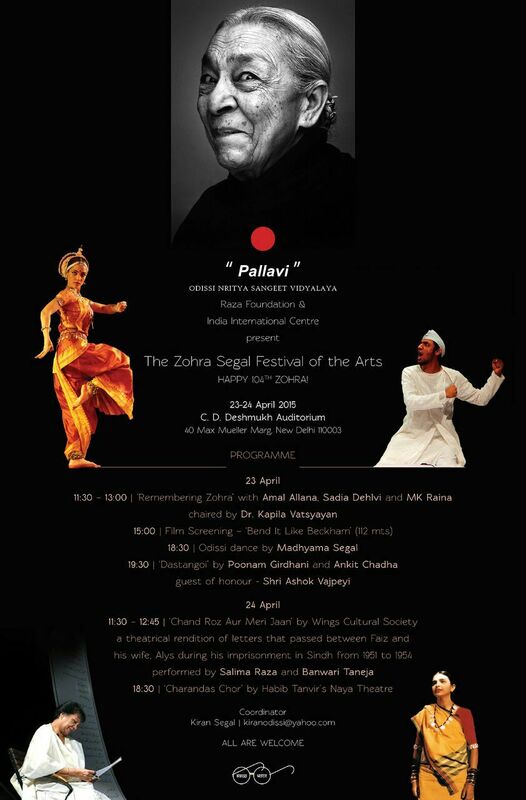 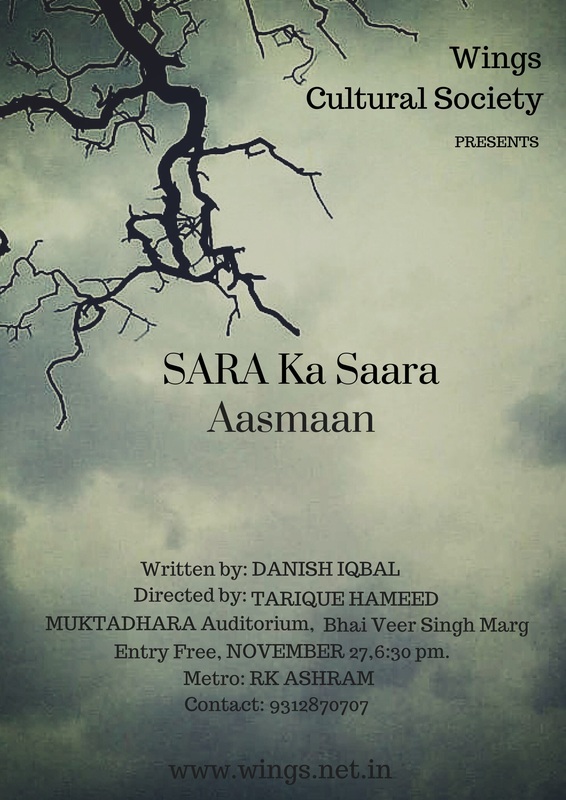 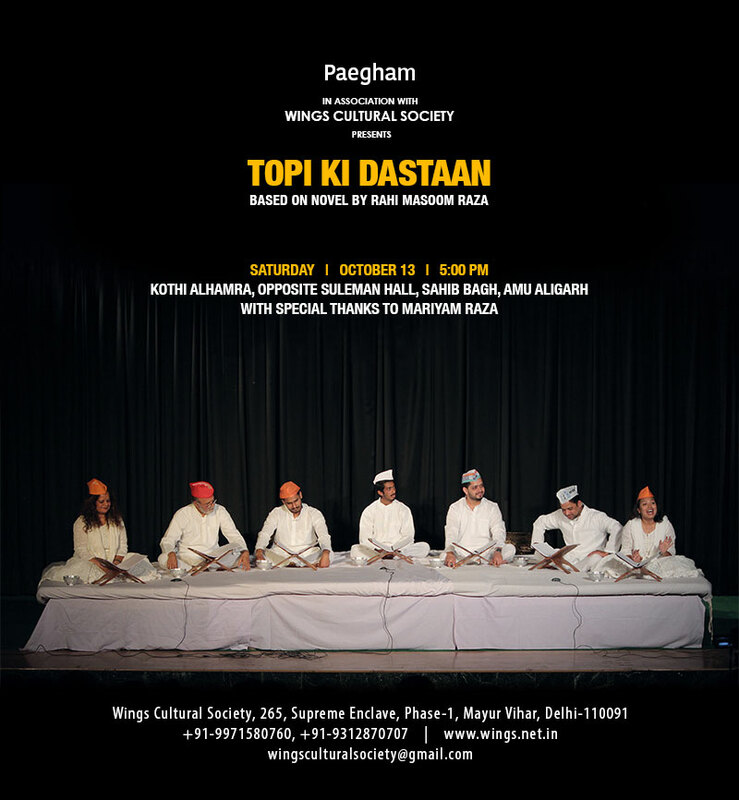 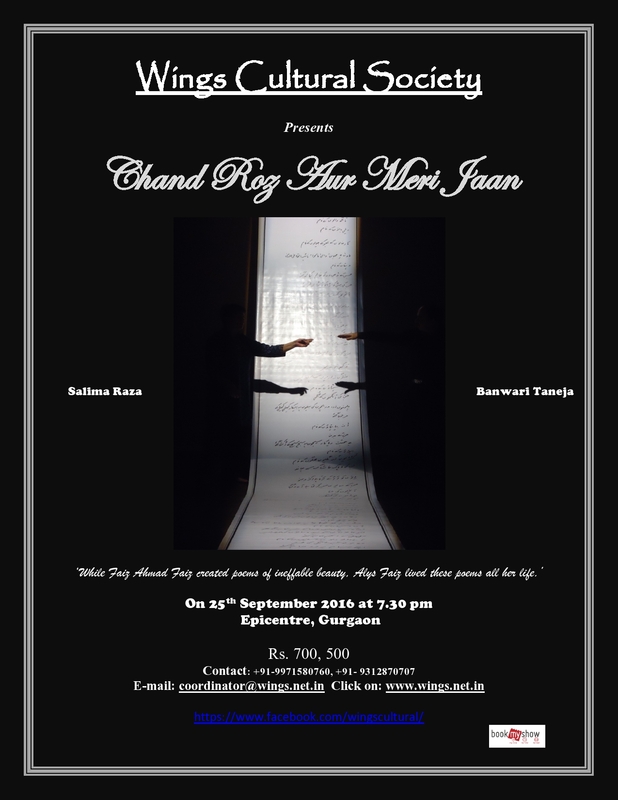 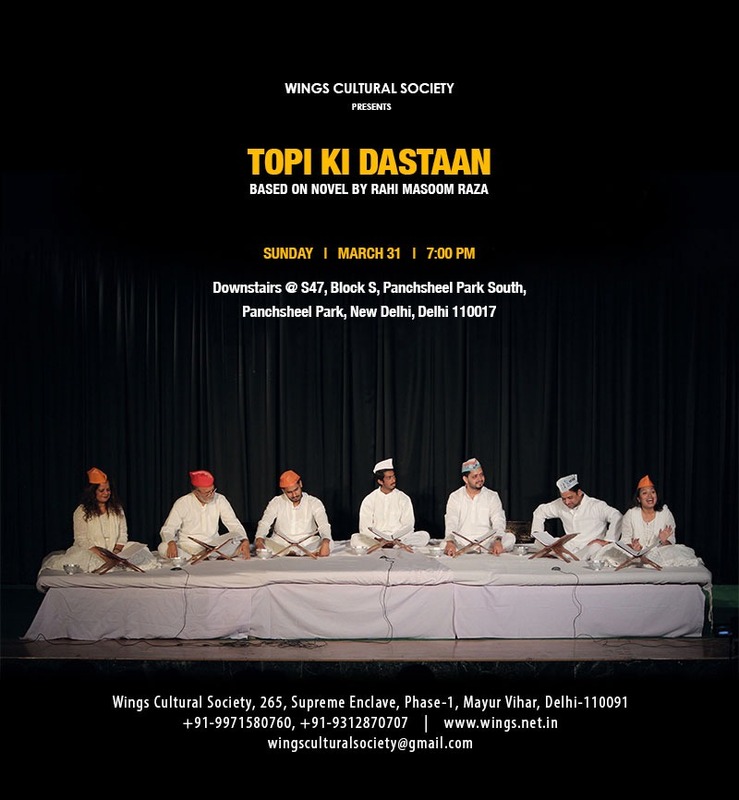 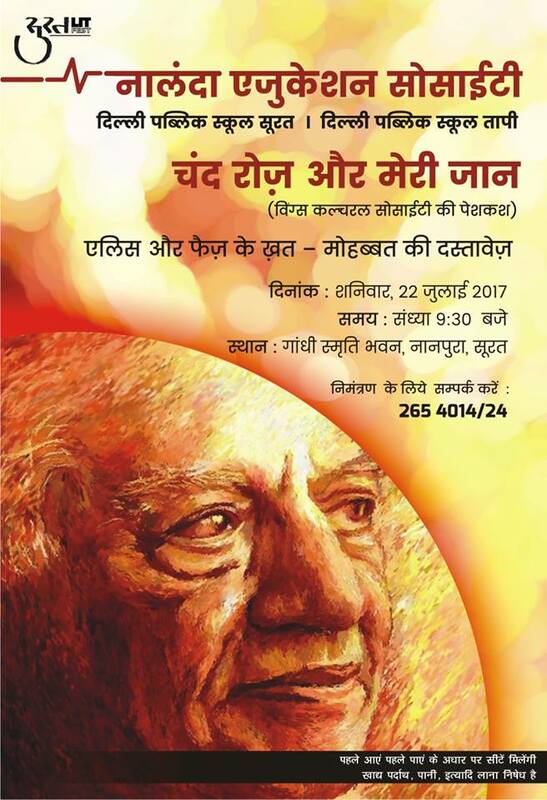 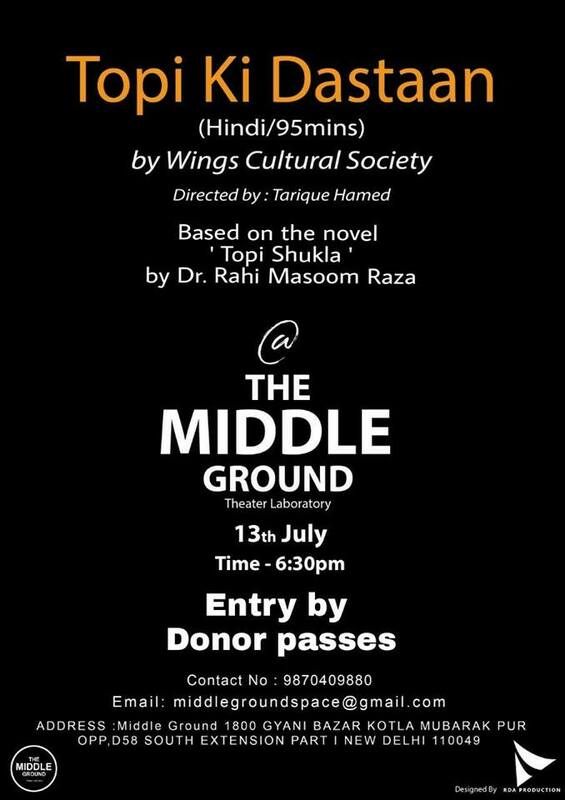 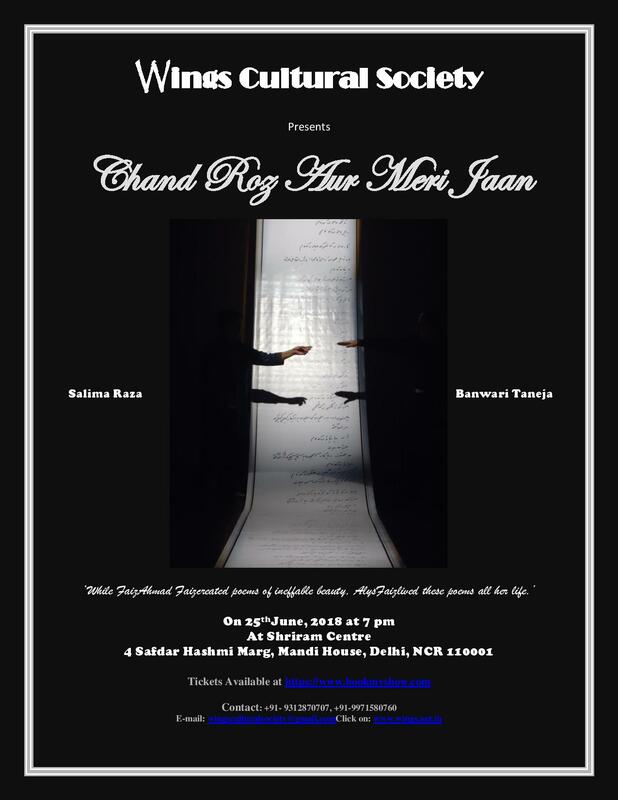 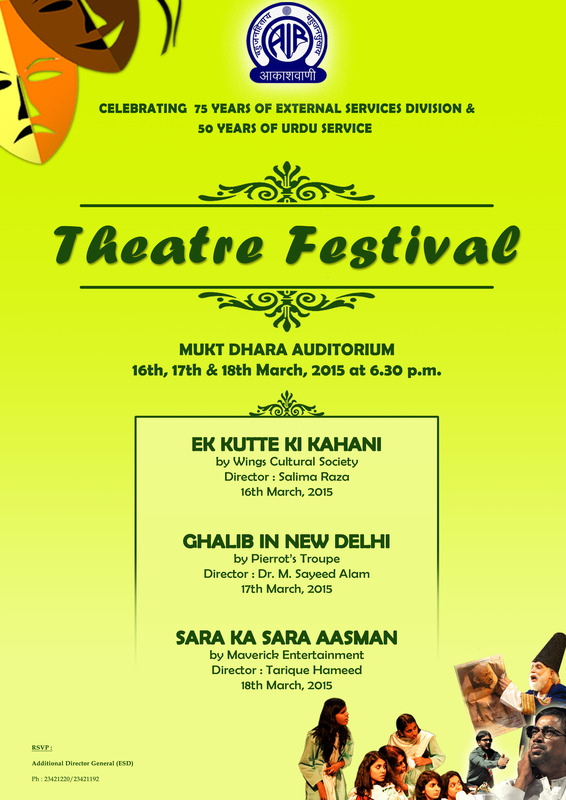 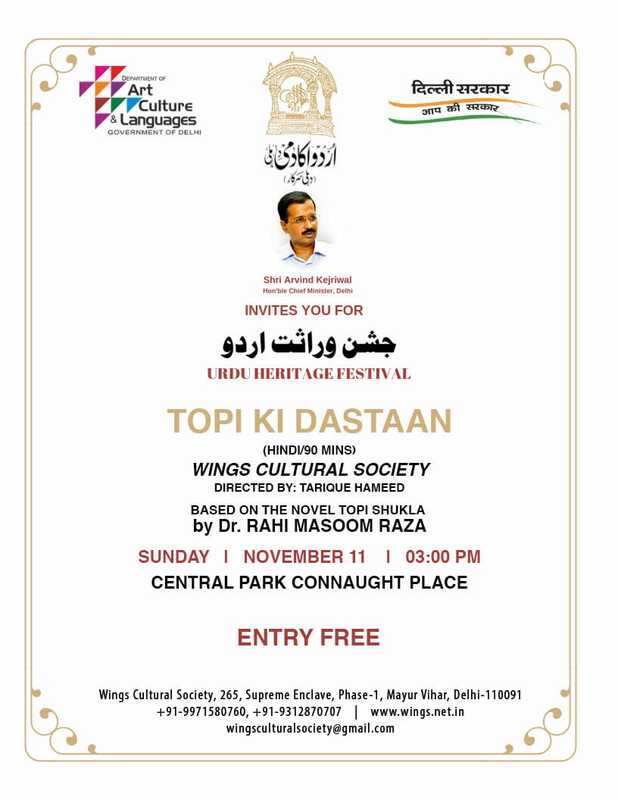 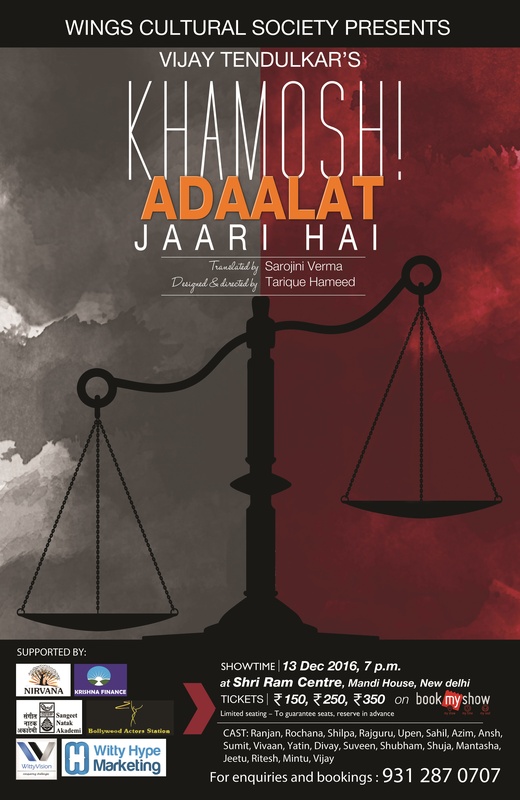 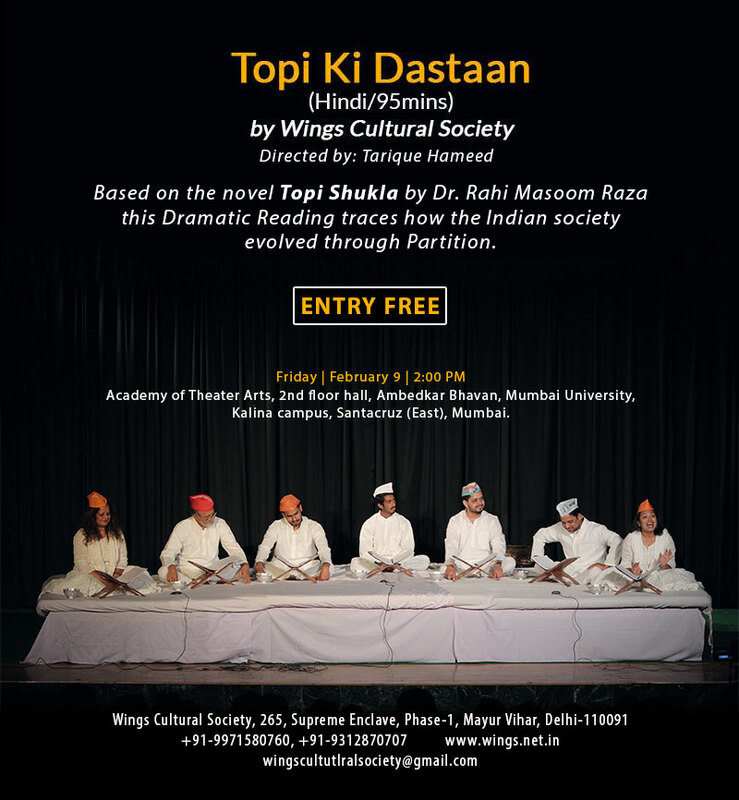 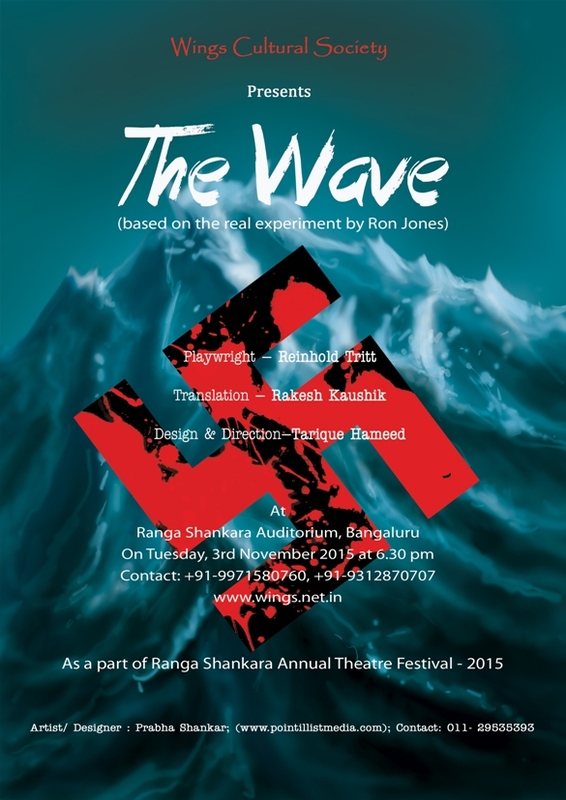 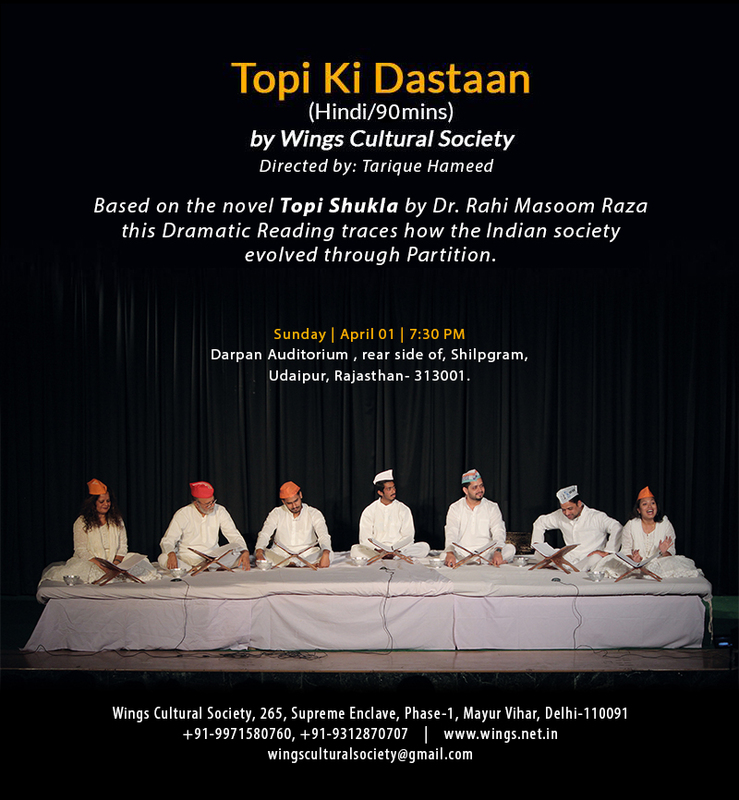 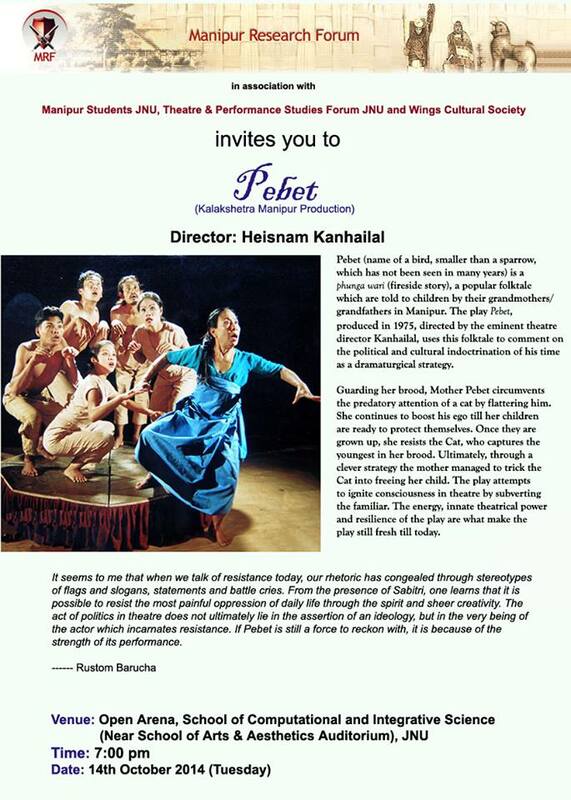 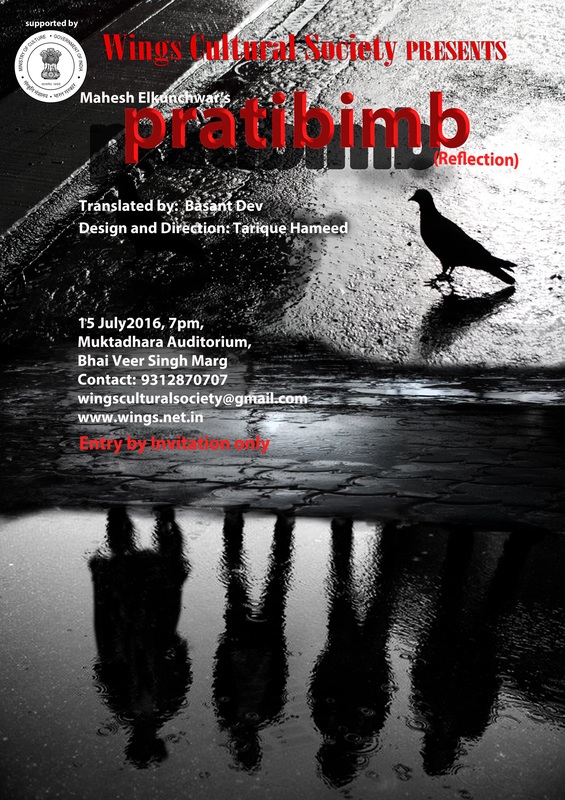 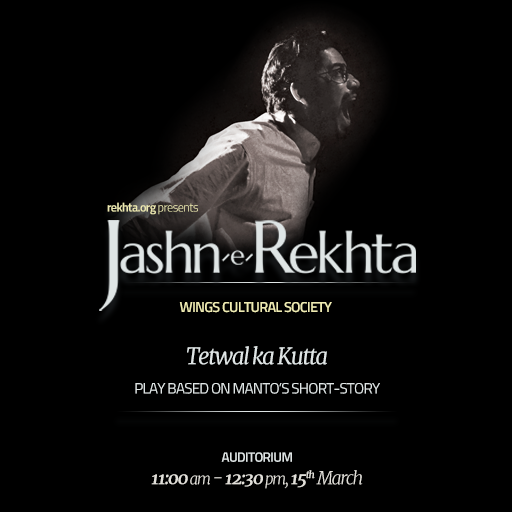 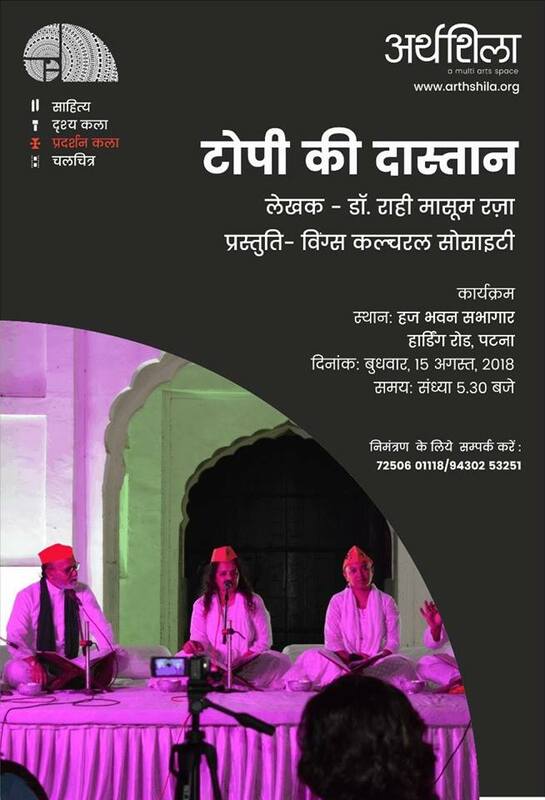 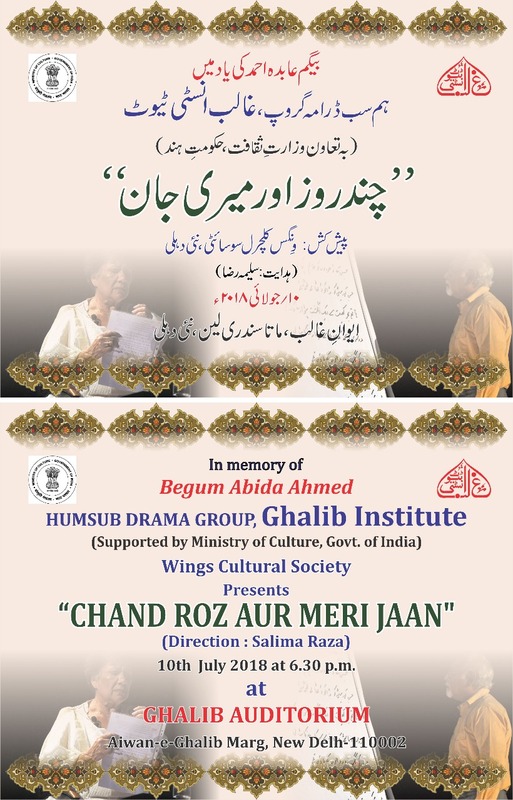 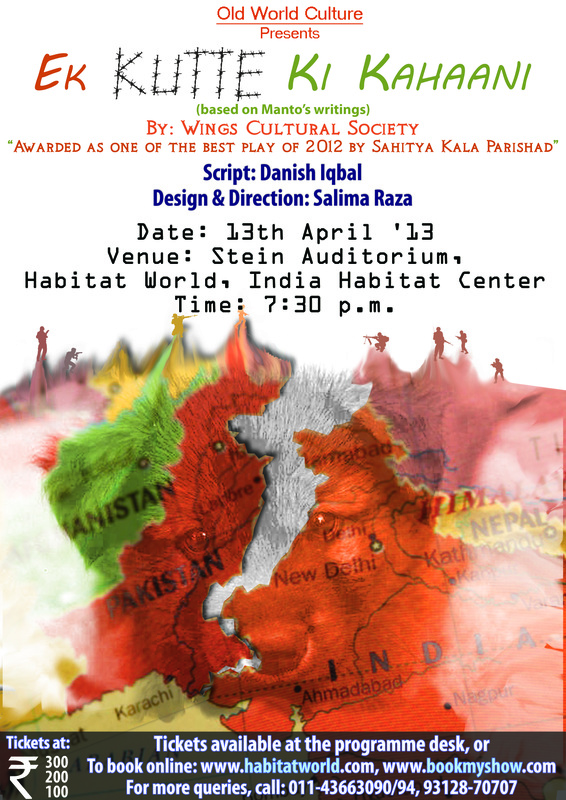 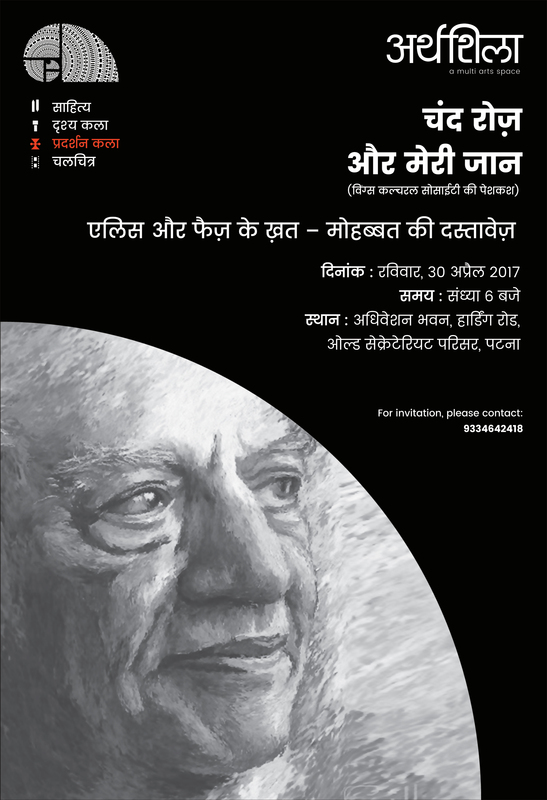 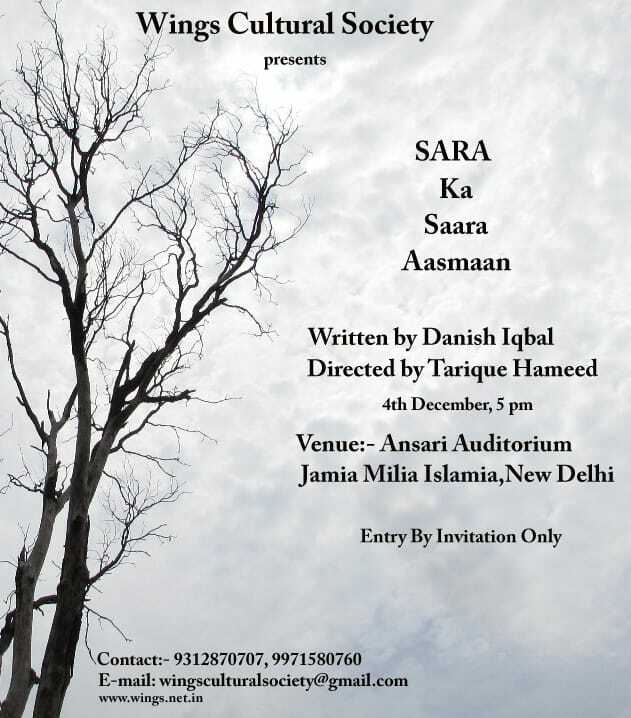 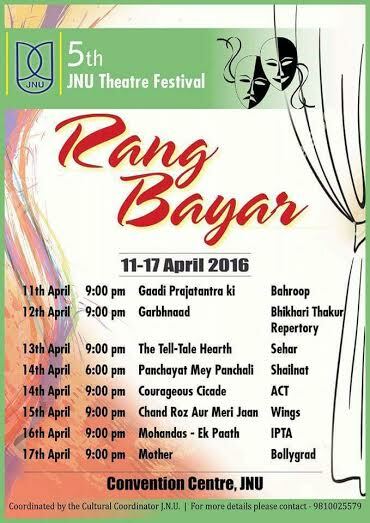 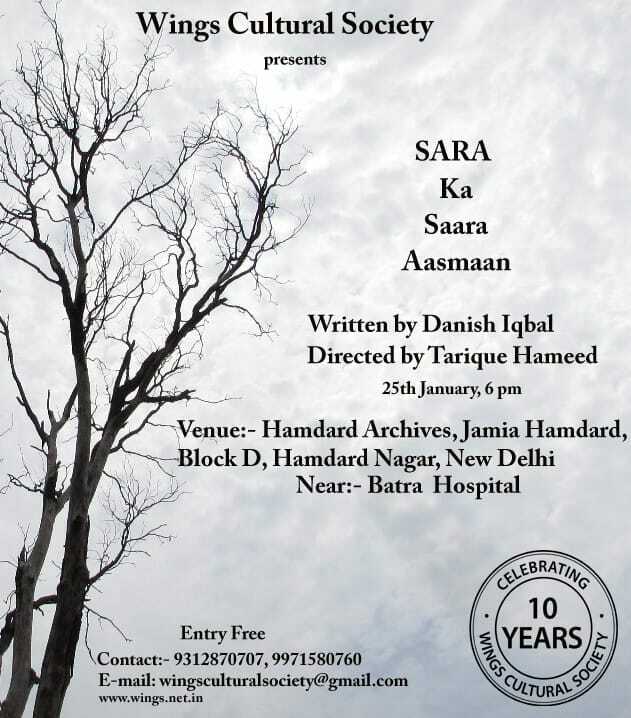 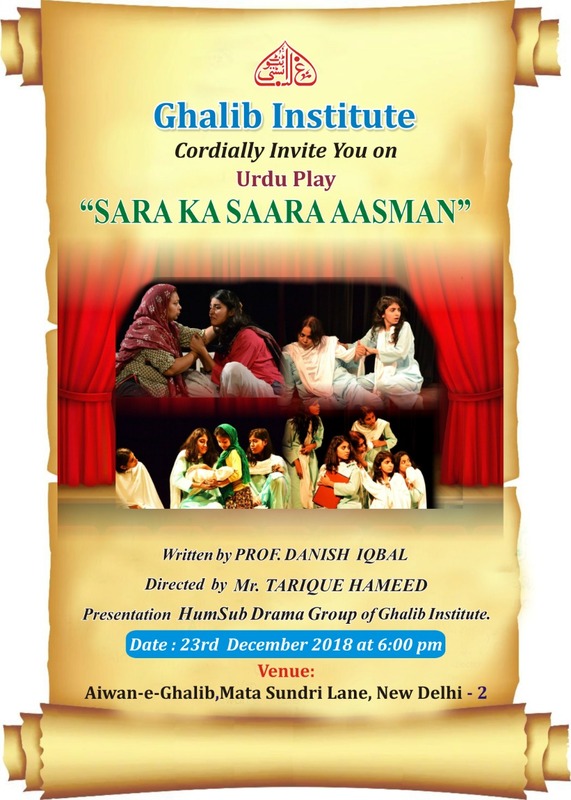 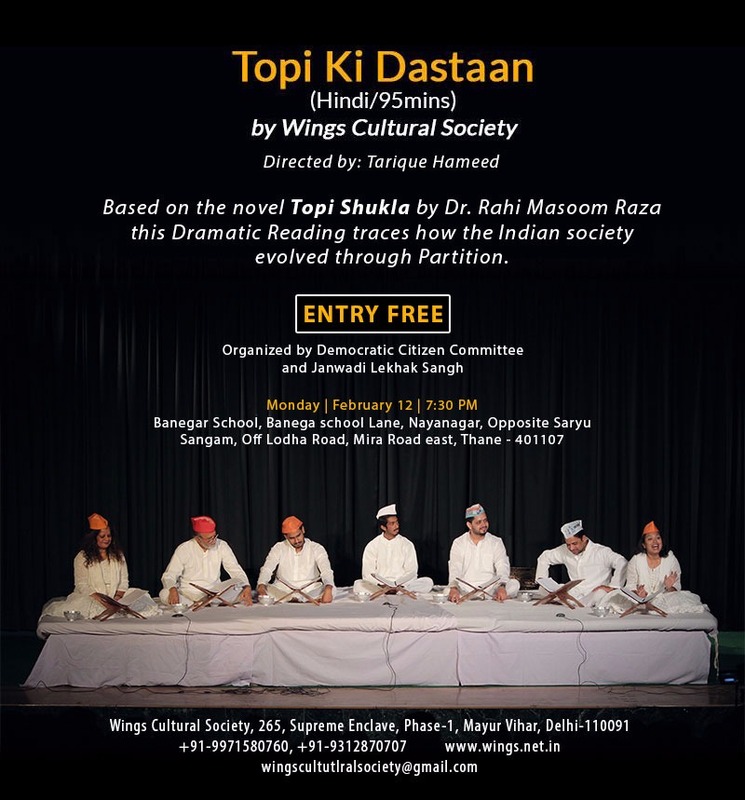 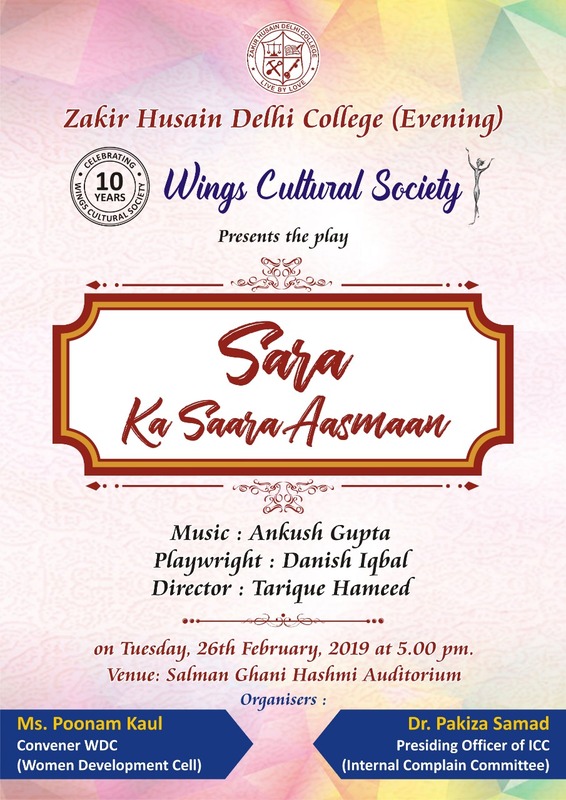 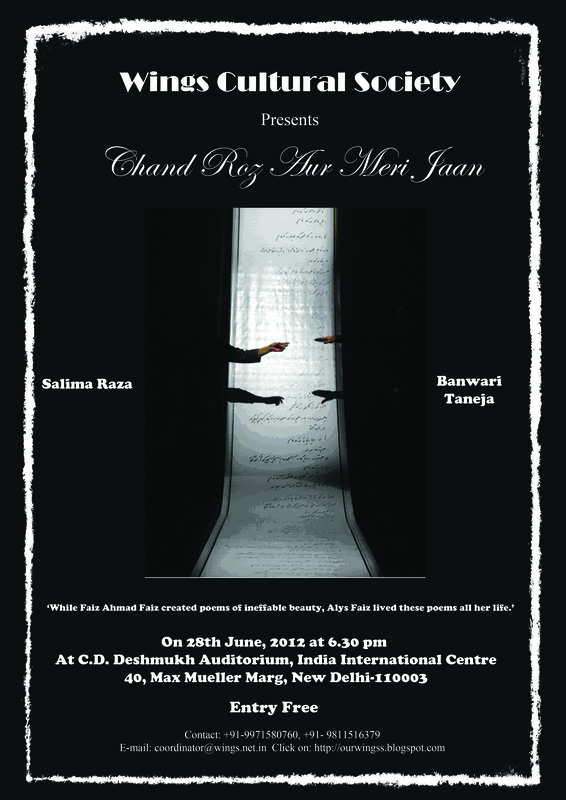 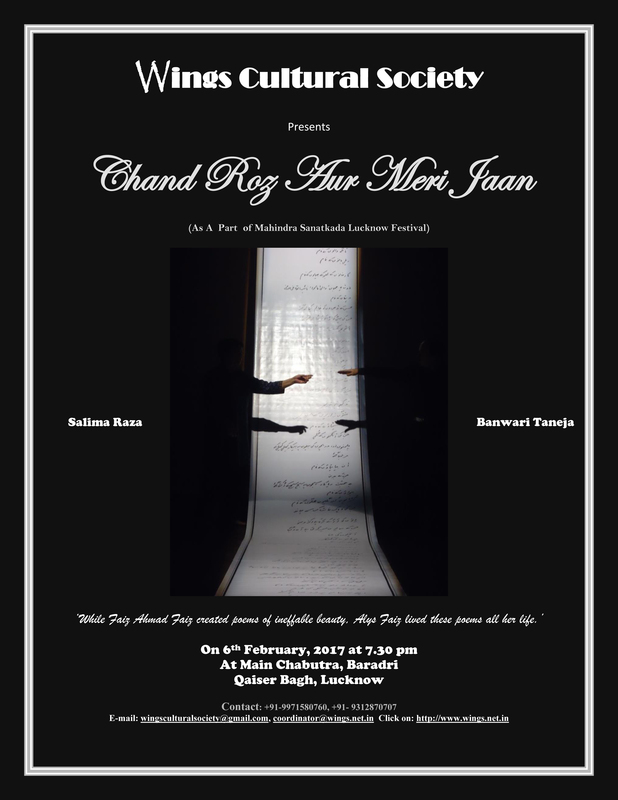 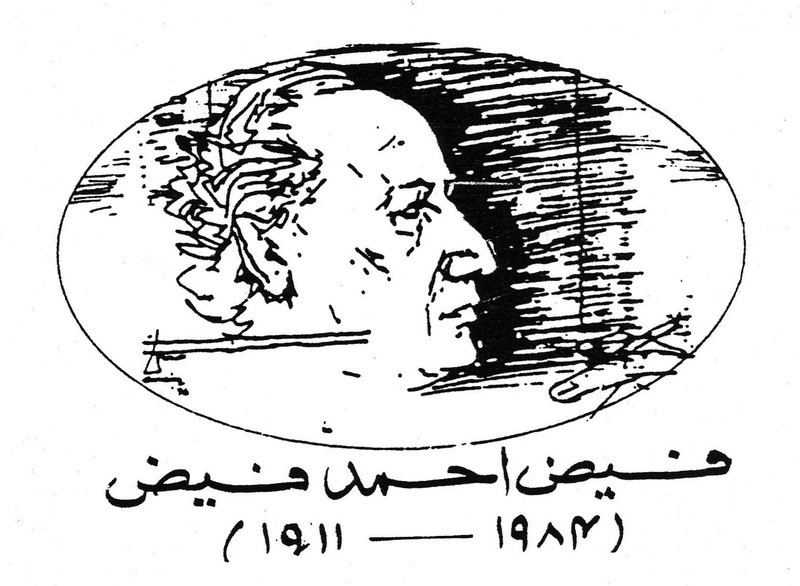 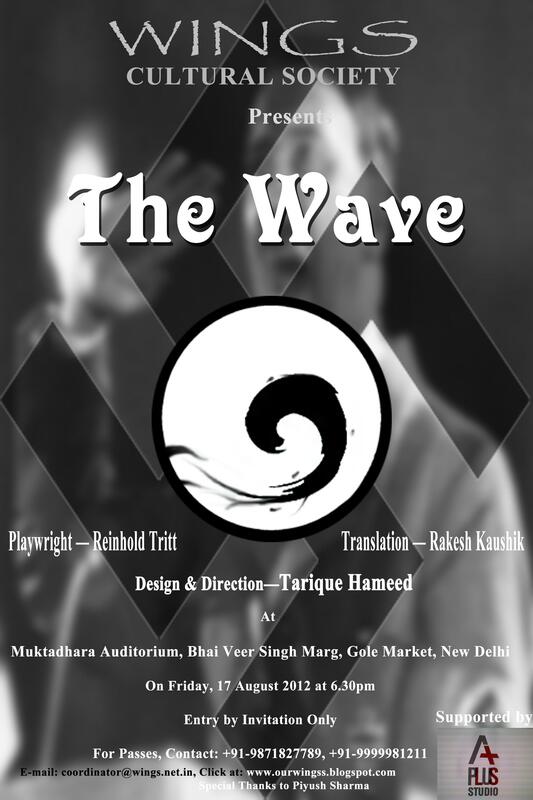 It has been adapted by Wings Cultural Society in the ‘Dastaan Narration Form’. 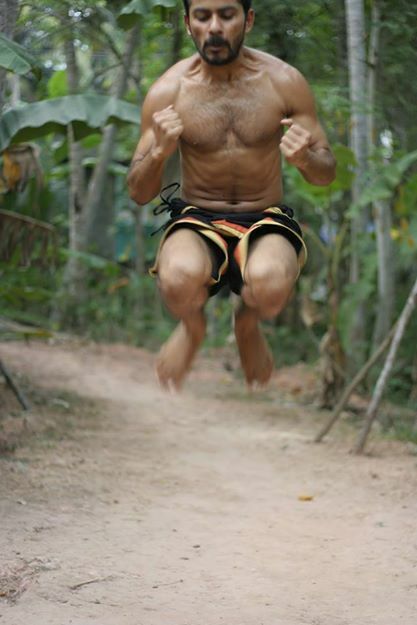 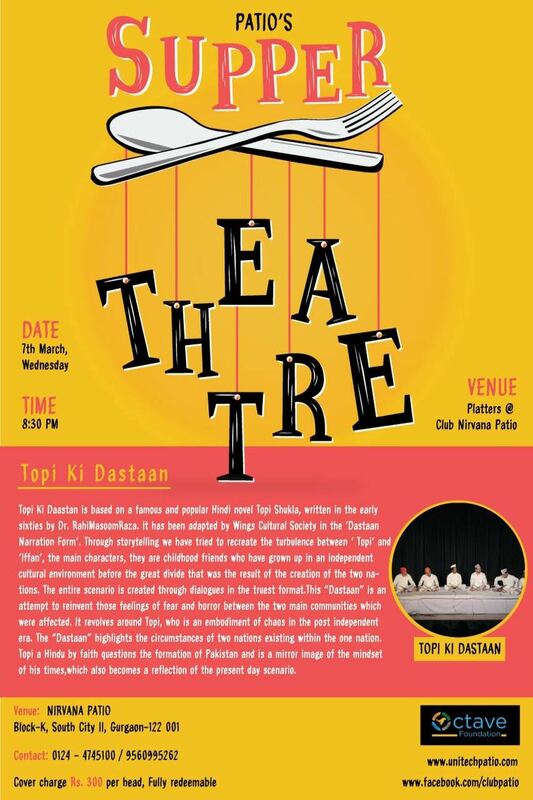 Through storytelling we have tried to recreate the turbulence between ‘Topi’ and ‘Iffan’, the main characters, they are childhood friends who have grown up in an independent cultural environment before the great divide that was the result of the creation of the two nations. The entire scenario is created through dialogues in the truest format. 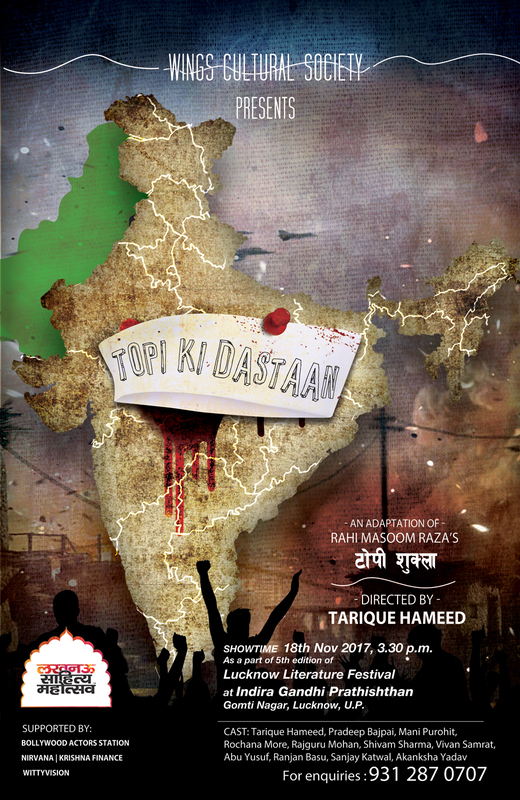 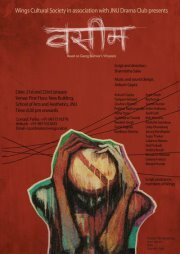 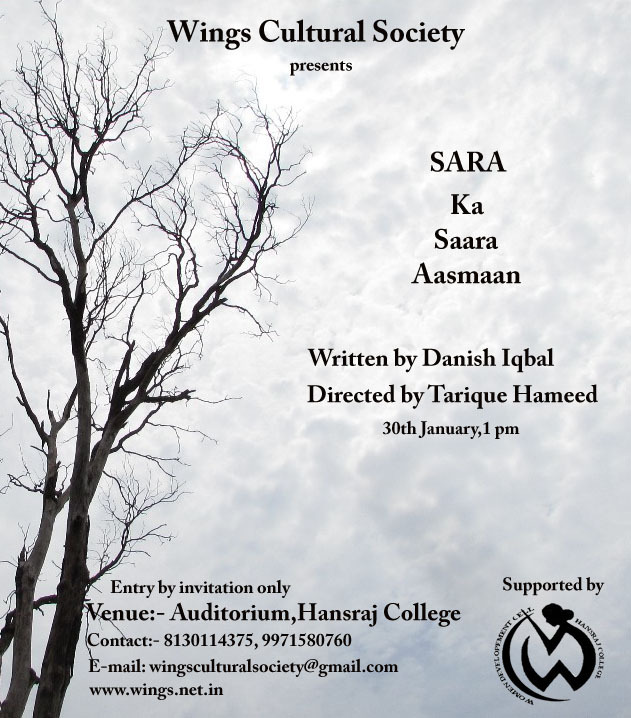 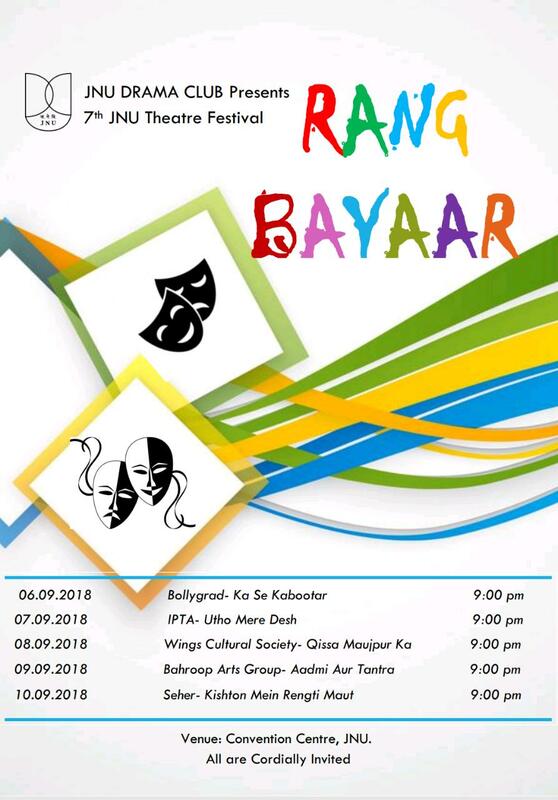 This “Dastaan” is an attempt to reinvent those feelings of fear and horror between the two main communities which were affected. 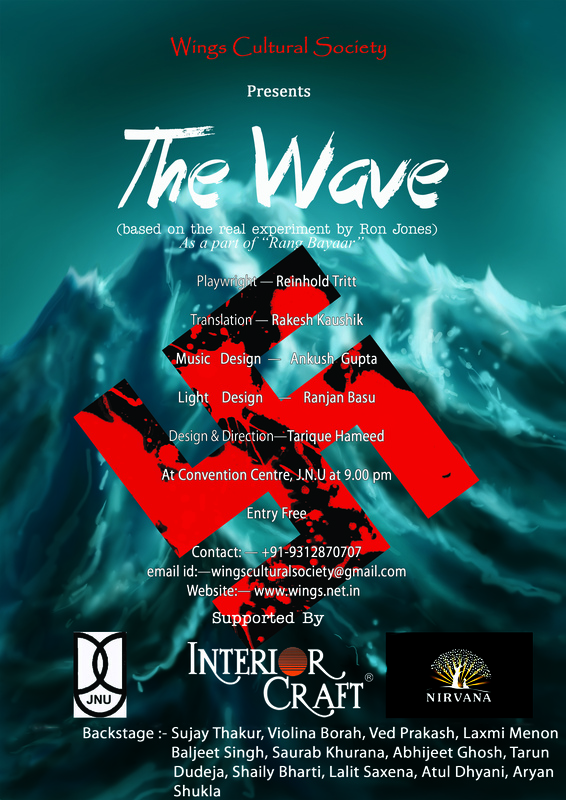 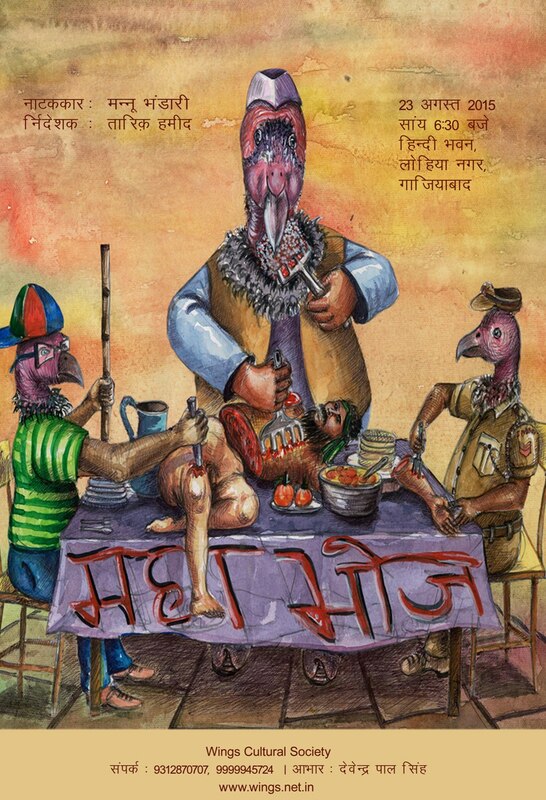 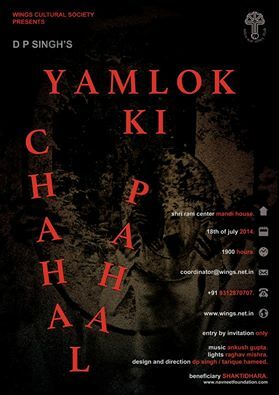 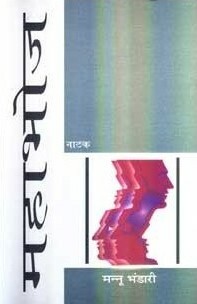 It revolves around TOPI who is an embodiment of chaos in the post independent era. 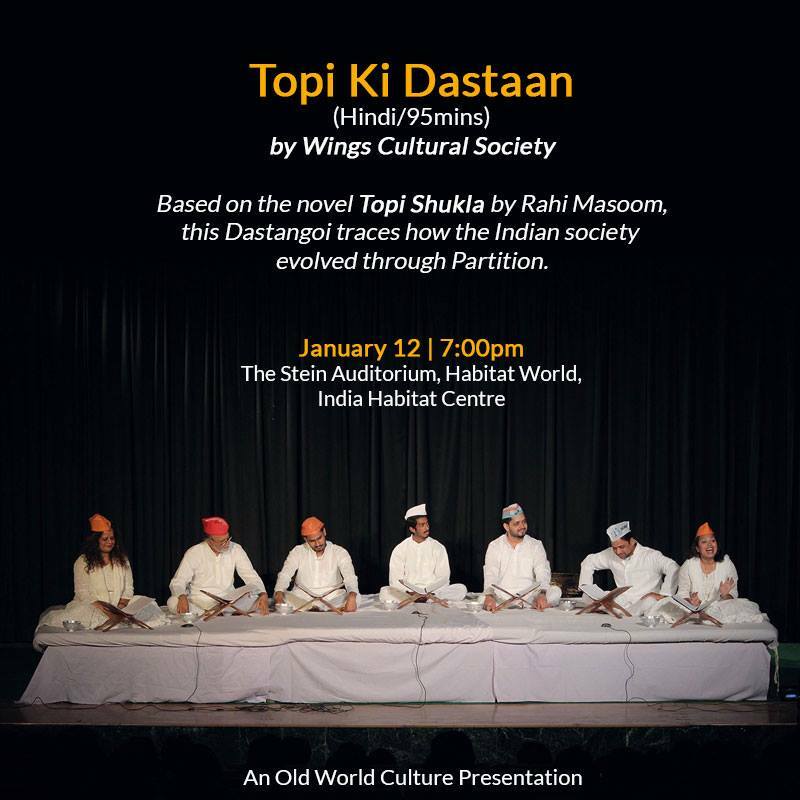 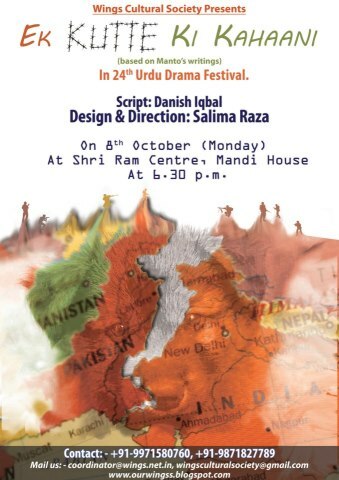 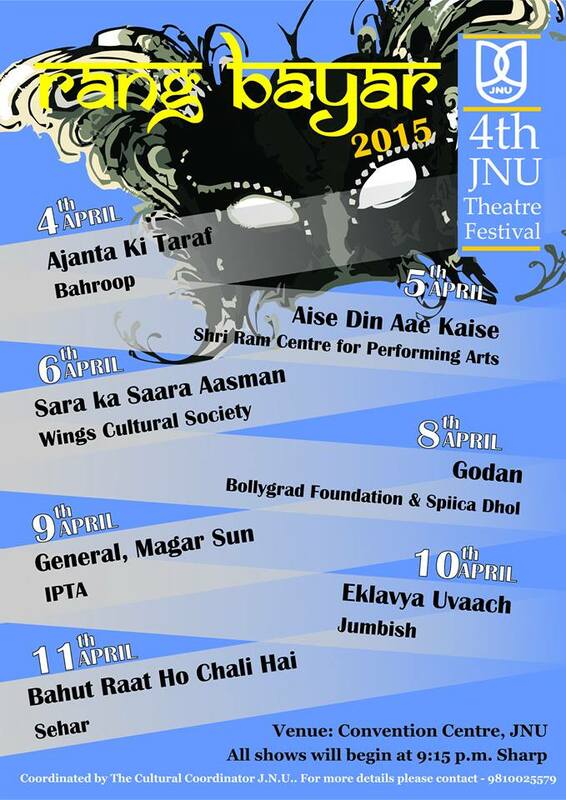 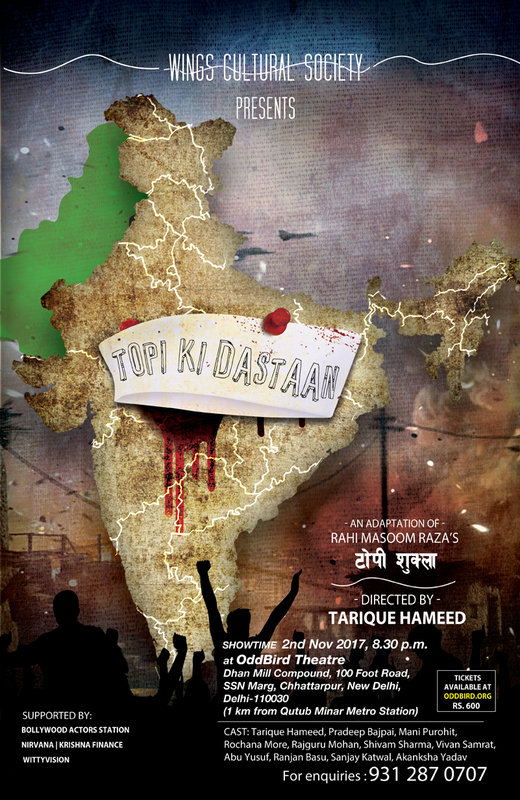 The “Dastaan” highlights the circumstances of two nations existing within the one nation. 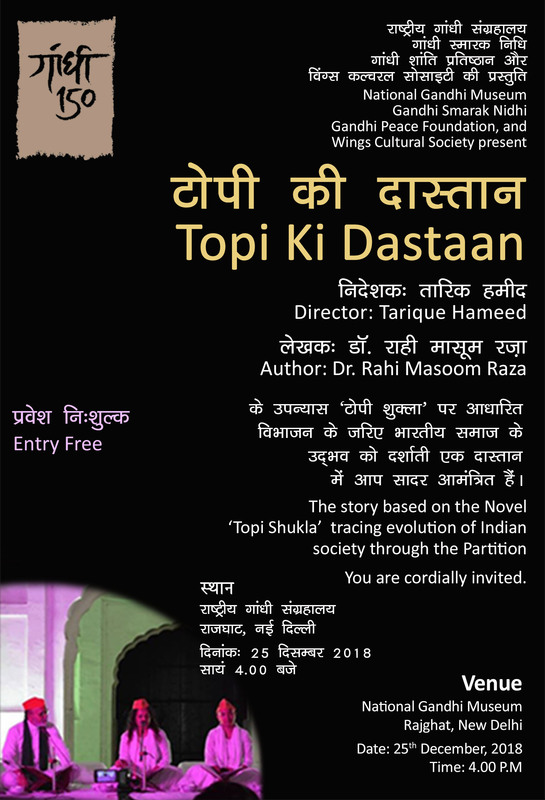 Topi a Hindu by faith questions the formation of Pakistan and is a mirror image of the mindset of his times, which also becomes a reflection of the present day scenario.